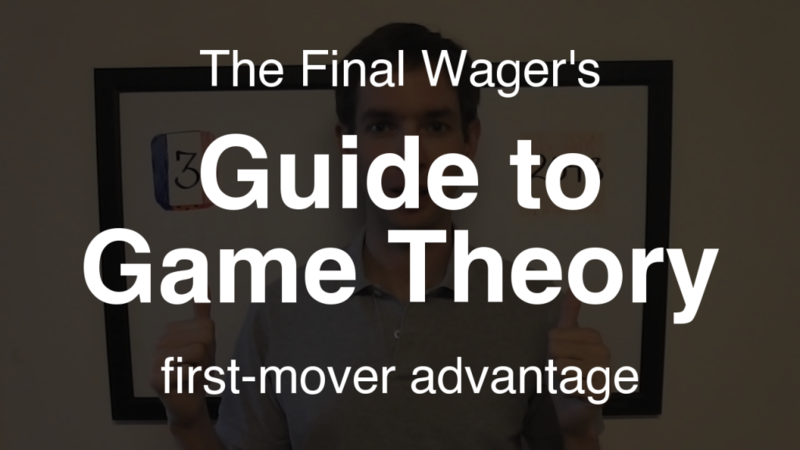 In this installment of my Guide to Game Theory, I discuss an important principle of economics: the first-mover advantage. I use three recent real-world examples to illustrate this concept. 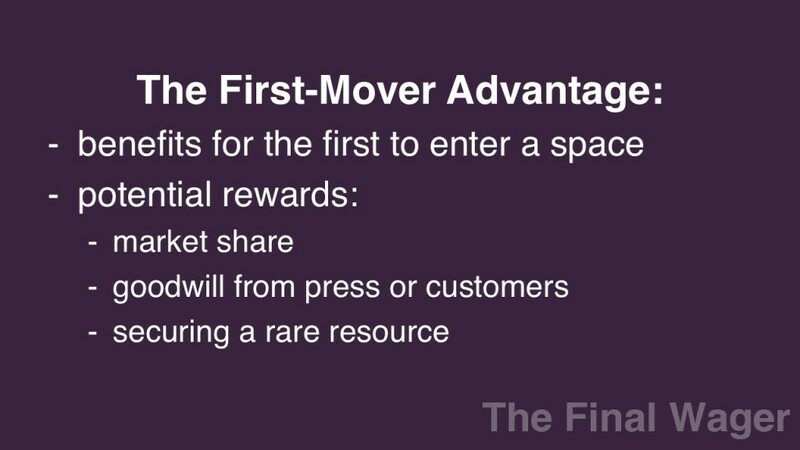 First, let’s define the first-mover advantage: the benefits available to the first individual or company to claim a particular niche. Those benefits can include market share, goodwill from the press or from customers, or, in some cases, securing a rare resource, like oil or natural gas. Here are some famous first-movers: Coca-Cola; eBay; Gillette; Apple. On March 26, Forbes broke the news that the Wu-Tang Clan, a longtime rap group, would sell just one copy of its forthcoming double album The Wu: Once Upon a Time in Shaolin. Before selling the sole copy, which is housed in an ornate box crafted by the artist Yahya, it will take the album on a tour to museums, festivals, galleries, and other places, charging admission for the listening sessions. This called to mind the tack taken by Radiohead with their 2007 release In Rainbows: they let fans pay whatever amount they wanted for the track, which they could then download from the band’s site. The plan “incited talk of a revolution” according to the Times, and sure enough, plenty of other bands tried pulling off the stunt, to much less success. In part, this was due to name recognition, but once Radiohead sucked all of the press out of the idea, it was no longer novel. Wu-Tang is trying to put “art” back into music. We’ll see if the attempt is successful; they already have an offer for $5 million. On February 5, CVS announced it would stop selling tobacco products in its stores. This would come at an expected cost of $2 billion per year. There were a few reasons for CVS to do this. For one, pharmacies have come under fire from state attorneys general for selling cigarettes, a practice linked to higher rates of smoking among children. There’s also a certain amount of goodwill to be claimed from parents and other customers who feel strongly about shopping in tobacco-free stores. The chain’s two main competitors, Walgreen’s and Rite Aid, are now faced with a decision. They can keep selling cigarettes, claiming the money left on the table by CVS’s exit from the market, but will have to contend with political pressure. On the other hand, following suit and banning cigarettes will leave the remaining chain with all of the tobacco sales in the drugstore space. This amounts to a game of chicken between Walgreen’s and Rite Aid. 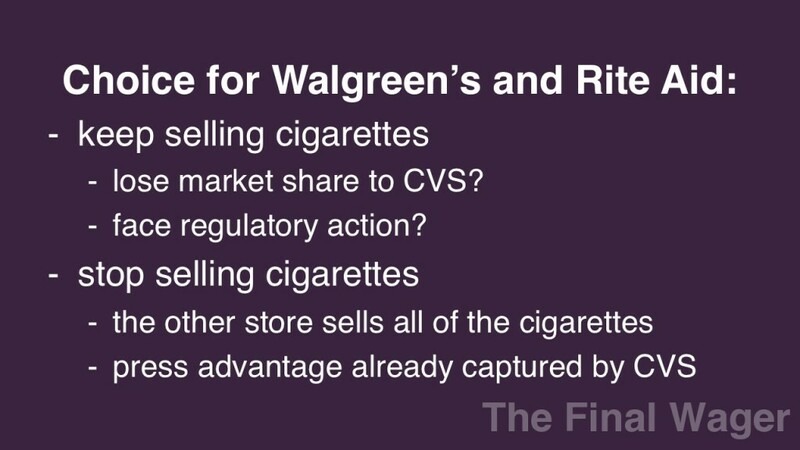 Walgreen’s has yet to blink; it recently announced it would continue to sell tobacco. 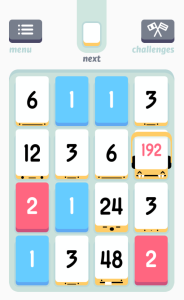 To illustrate some of the disadvantages of being the first to market, we’ll look at the popular game Threes!, an app that took the world by storm earlier this year. The object of the game is to push together like-numbered tiles to create larger numbers until you run out of room. Within weeks, knock-offs had popped up. One is called 2048 and is similarly addictive. Last week, the creators of Threes! released a trove of documents relating to the creation of the game, a 14-month process that several people copied in a matter of weeks. The thoughtfulness behind it is impressive: the way different monsters would slide into each other, the “1” and “2” tiles (which are frustrating), and other small features that make the rip-offs look like high-school computer-science projects. 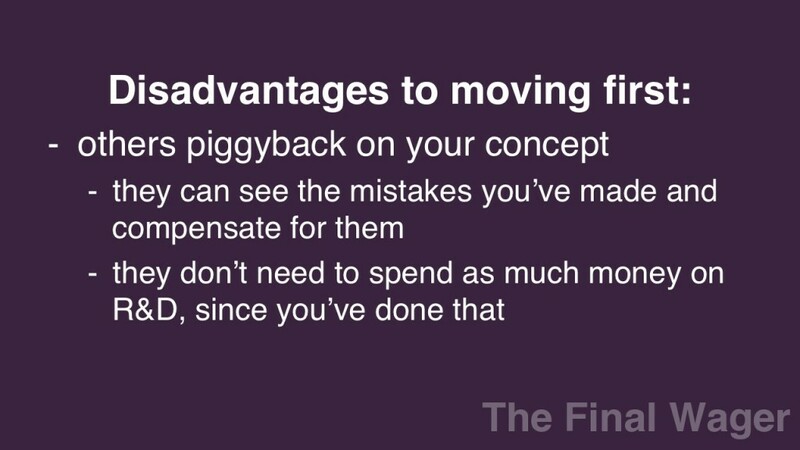 As well they should, rushed to market in such a short time (another advantage of being the first mover). Of course, in business, there’s often no sense of “fairness” – it’s dog-eat-dog. And for all of the time these guys spent on Threes!, having their game called a “copy” of 2048 must have stung big time. At least that creator isn’t monetizing his product out of deference to Threes!. Great topic for discussion and very nicely done! Excellent examples explained clearly and concisely. A commonly-heard motto for small businesses is “start small, think big and act fast.” Large businesses often have the luxury of bypassing the start small part. But think big and act fast are always appropriate and nearly always essential. First to market can be an overwhelming advantage, but only when you’re prepared for quick follow-up: product tweaking as necessary, ramped-up production, walking the often fine line between staying the course/vision or making changes that the market seems to be whispering in your ear. And always have a Plan B that can be quickly implemented. One other game-theory scenario in business (and personal life too) that runs counter to the first-to-move advantage is in negotiations. You will almost universally hear from professional negotiators that the first to talk loses, especially after a pregnant pause. The negotiator who feels that pressing need to fill an empty space with talk will more than likely start compromising, get confused and start negotiating with himself. The best thing to do is to remain calm and quiet. Of course, you might argue that this is in fact a first-to-act strategy in that the first move by design is to do nothing. The profit potential of selling music has always been incredibly low; artists make their cash on tour. Even during the heyday of CDs, artists would make at most $1 an album. The rest would go middlemen, particularly the label. Check out some of the recent controversy over pay rates for Spotify. That should give you a sense of the market today.